Happy spring! 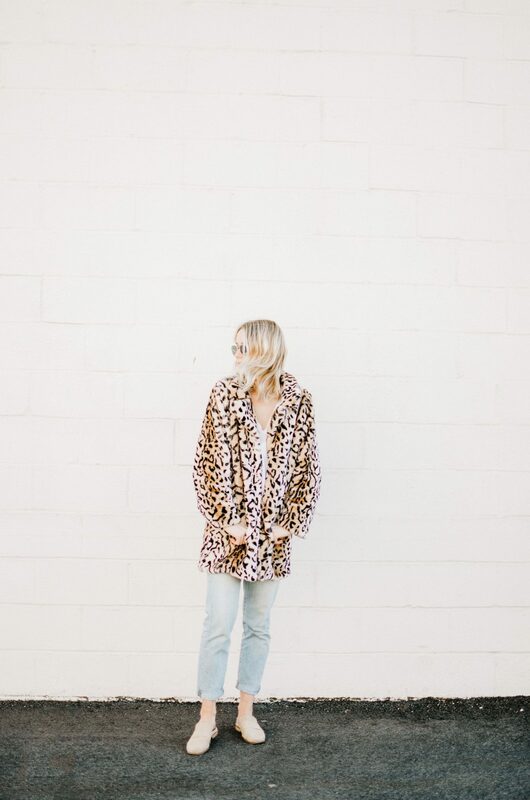 The weather has been over 40 degrees for the past week so I am officially packing away my winter clothes and breaking out my spring transition wardrobe! 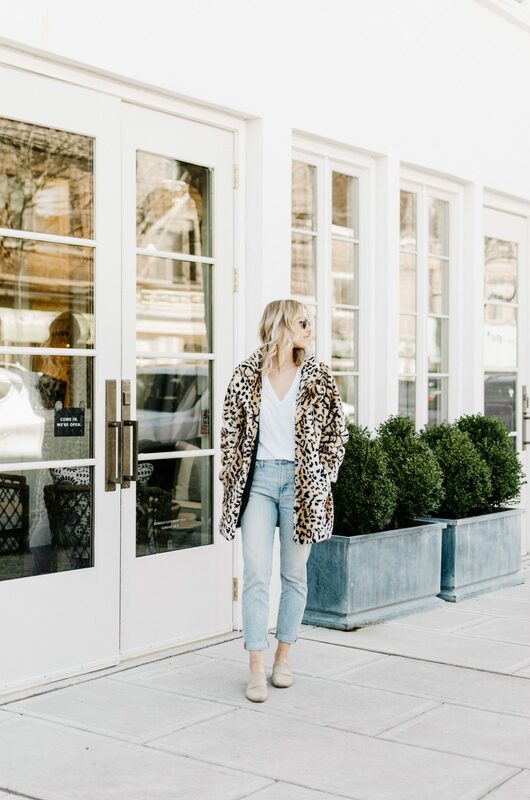 I think the hardest part about dressing for spring is that the temperature tends to jump throughout the day––mornings are typically on the chillier side, afternoons can go as high as 60, and at night it tends to drop back down. The key to spring you ask? 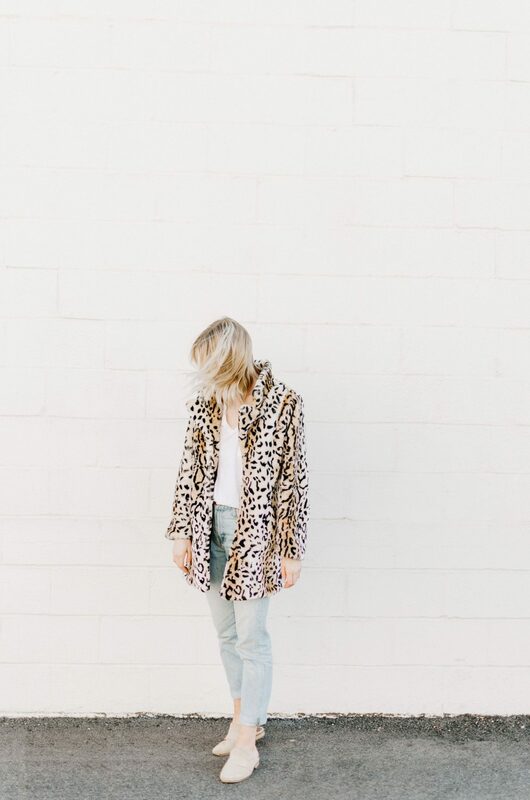 Light layers. I always layer my clothing in the spring so that I can take things off and add them back on depending on the weather. While I did pack away my heavier parkas, I’m keeping my lighter jackets and coats around for a bit longer. 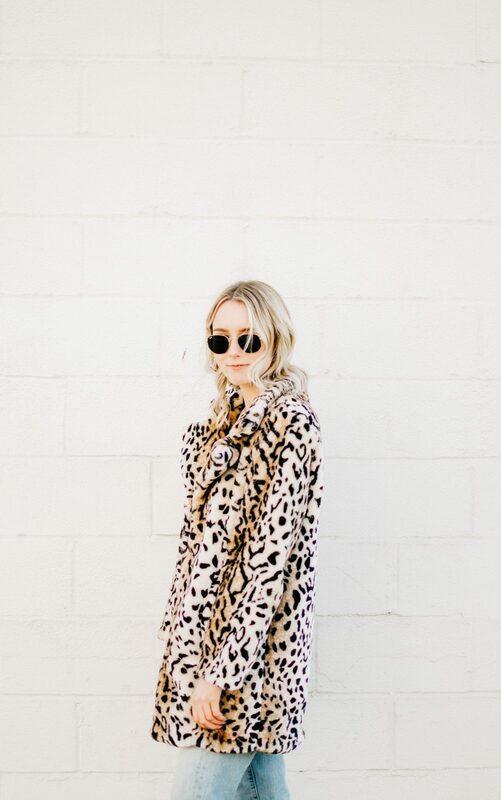 Leopard is super trendy right now, so I thought it would be fun to show you guys a way you can incorporate a leopard coat into your spring style! 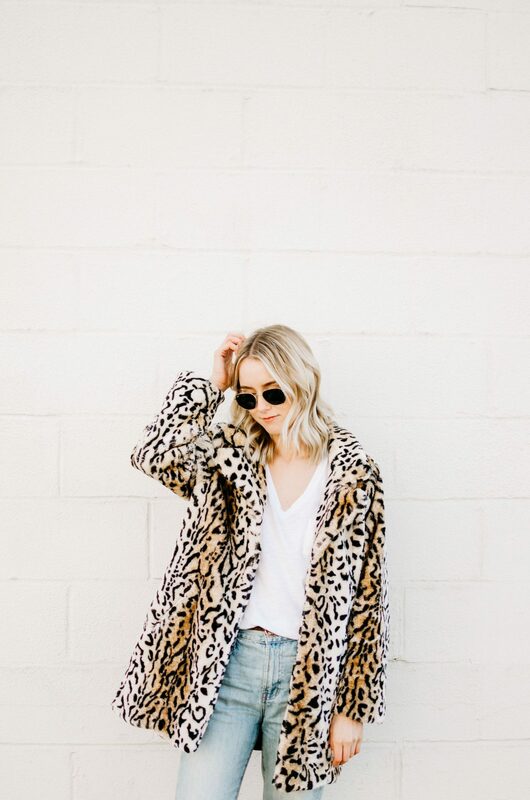 I got my leopard coat from LF, so, unfortunately, I can’t link it directly but I will link other leopard coats that are similar! 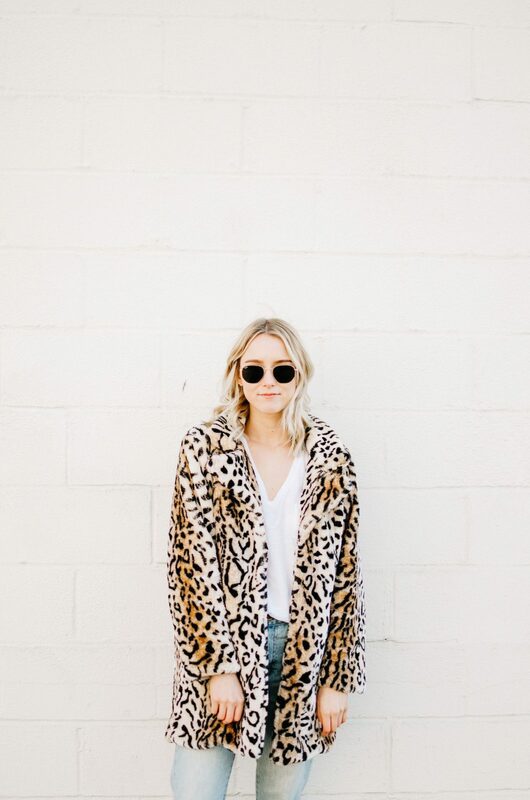 You can even switch out the faux fur for a leopard denim jacket for a similar look! 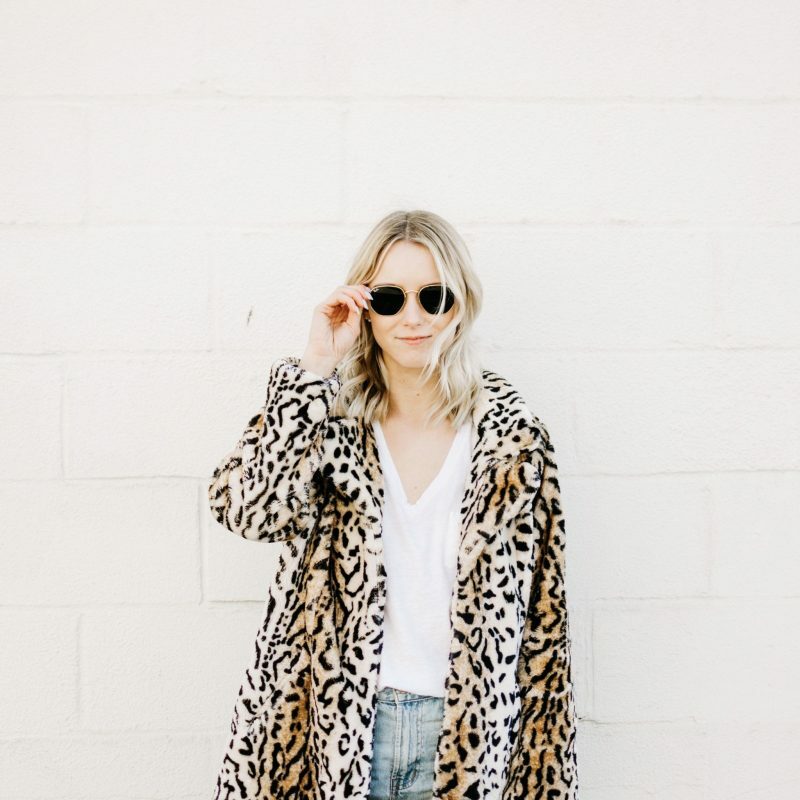 I prefer to wear lighter colors in the spring, so to brighten up the look since the jacket is quite dark I wore a slightly oversized white v-neck tee shirt. 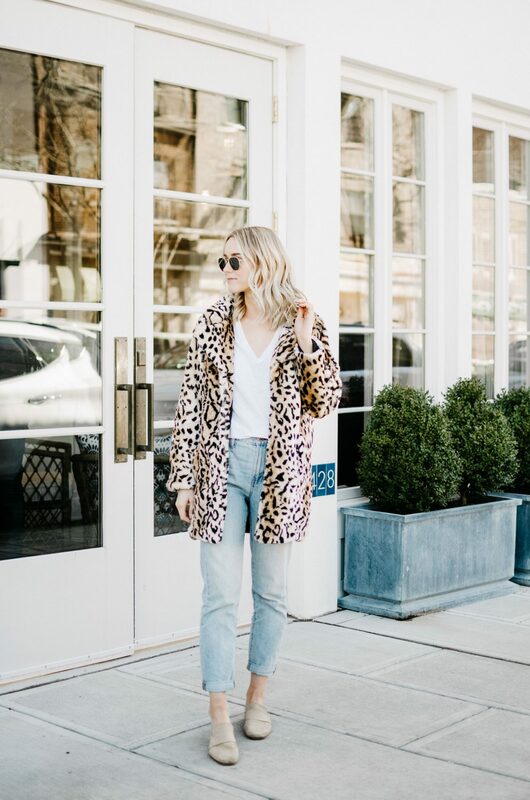 These jeans are my absolute favorite right now, they’re the perfect light wash and they have the cutest relaxed look to them. 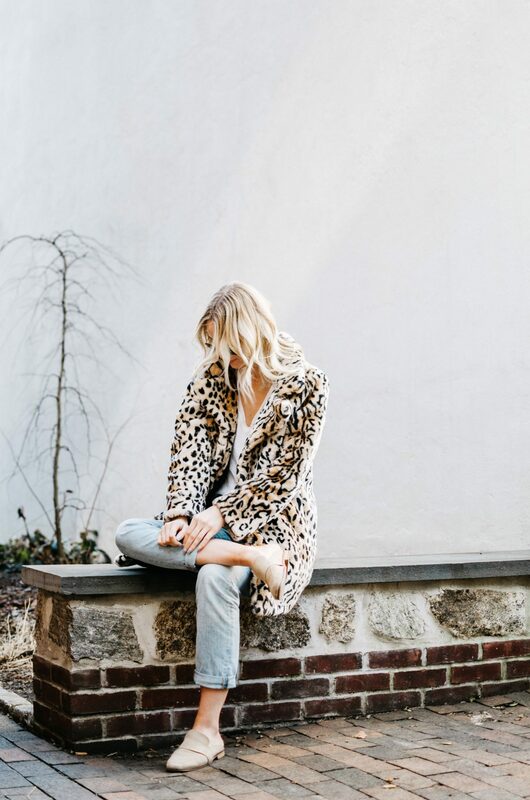 I’m not a fan of wearing tight denim in the spring/summer when it’s warm out, so I opt for a vintage style jean. 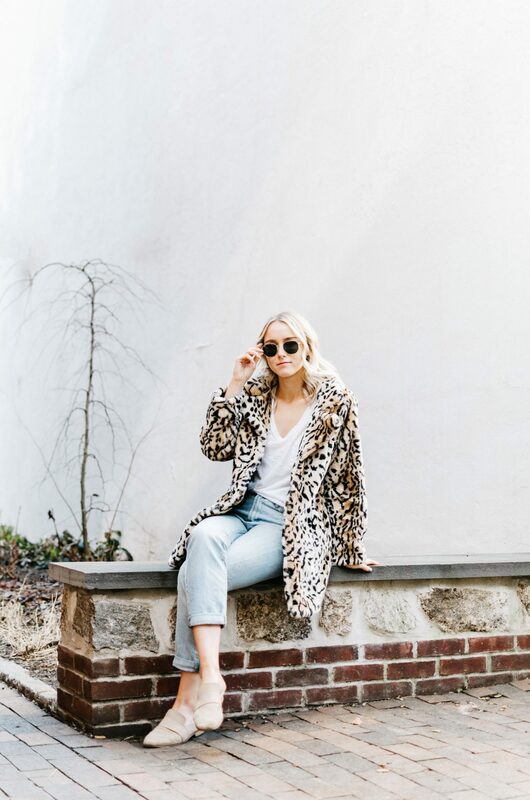 Mules are my go-to shoe for everyday looks because they’re casual and easy to slide on and off. I chose this neutral pair to go with the bright style of the outfit, but you could swap them out for a black pair too! Thanks for reading today’s post! Check back in here and on my Instagram @jessmiele for more!